The goal of this Phase II project was to strengthen family functioning and improve child outcomes in reintegrating military families. ADAPT Online responds to the urgent parenting needs of military families potentially at risk for depression, anxiety, substance abuse, post‐traumatic stress, and other maladies. This project tested the efficacy of ADAPT Online to reduce parent stress, increase positive parenting skills, and improve child behavior. The project benefited from participation by scientists from the University of Minnesota’s Department of Family Social Science, Oregon Social Learning Center, Department of Veteran Affairs, Department of Defense’s National Center for Telehealth and Technology, and the Services University of the Health Sciences. Dr. DeGarmo has conducted programmatic research on family stress and social learning models of parent and child adjustment to negative life events and socially disadvantaged environments. 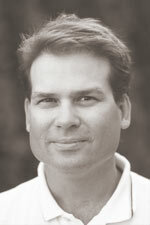 A major focus of his work has been on evaluation of parent training for families at risk for compromised parenting including divorced and remarried families, families in supportive housing, biological and foster parents in the child welfare system, and deployed and post-deployed military families. Recently, he has focused on the independent and interactive effects of fathering. DeGarmo has published over 65 papers, and over 20 efficacy and effectiveness evaluations including work on implementation process and fidelity, mediation and moderation in the context of RCTs and multilevel samples. DeGarmo has methodological expertise in structural equation modeling, multilevel modeling, and linear and nonlinear trajectory analyses. DeGarmo serves on the editorial board of Parenting Science and Practice and Cultural Diversity and Ethnic Minority Psychology and is a standing member of the Social and Behavioral panel of the Institute of Education Sciences.